Its raining ultrabooks. 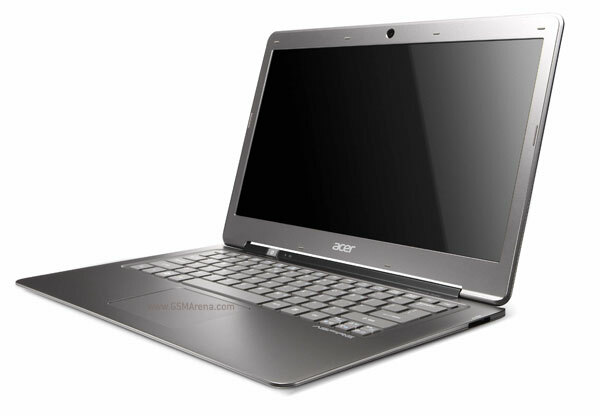 Hot on the heels of Toshiba and Lenovo, Acer too has their own ultrabook out among all the shiny gadgets at the IFA 2011. The Aspire A3 has similar specs to the two ultrabooks we saw recently, namely a 13.3-inch, 1366 x 768 resolution display, Sandy Bridge Core i3, i5 and i7 processors and 240GB SSD or 320/500GB SSD+HDD options. The attractive design makes use of aluminum and magnesium alloy. It has a spacious non-backlit keyboard and a fairly large trackpad. The Aspire A3 is 0.51-inch thick and weighs 3 pounds (1.4kg). On the connectivity front the Aspire A3 has two USB 2.0 ports, HDMI, headphone jack and SD card slot. The A3 lacks a USB 3.0 port found on the Toshiba and Lenovo ultrabooks. The Acer Aspire A3 will be available in select regions in September, with prices ranging from €799 ($1,135) to €1199 ($1,704).